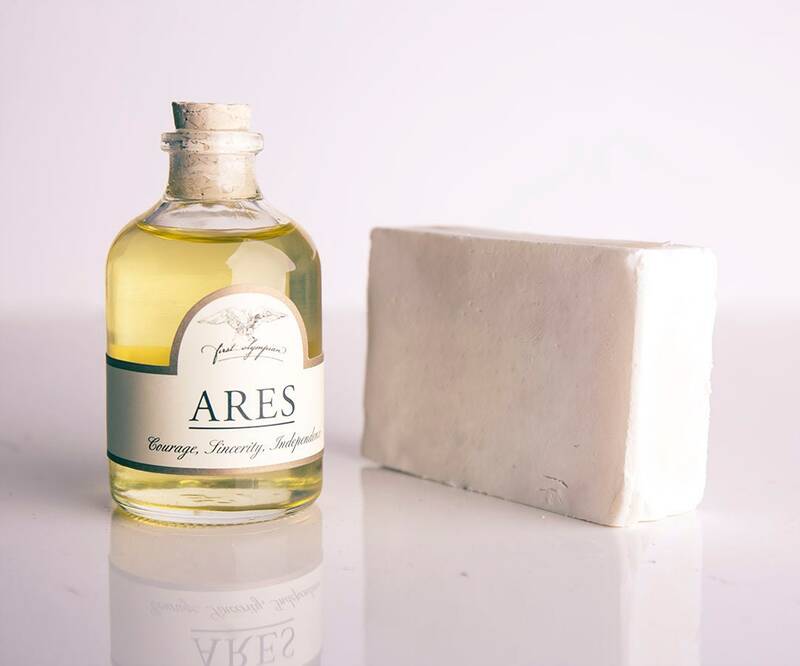 "Ares, exceeding in strength, chariot-rider, golden-helmed, doughty in heart, shield-bearer, Saviour of cities, harnessed in bronze, strong of arm, unwearying, mighty with the spear, O defender of Olympus"
Ares signifies the strength, courage and determination of a man, holding fast amid life's myriad challenges, protecting the weak and standing up for his friends, family and beliefs. 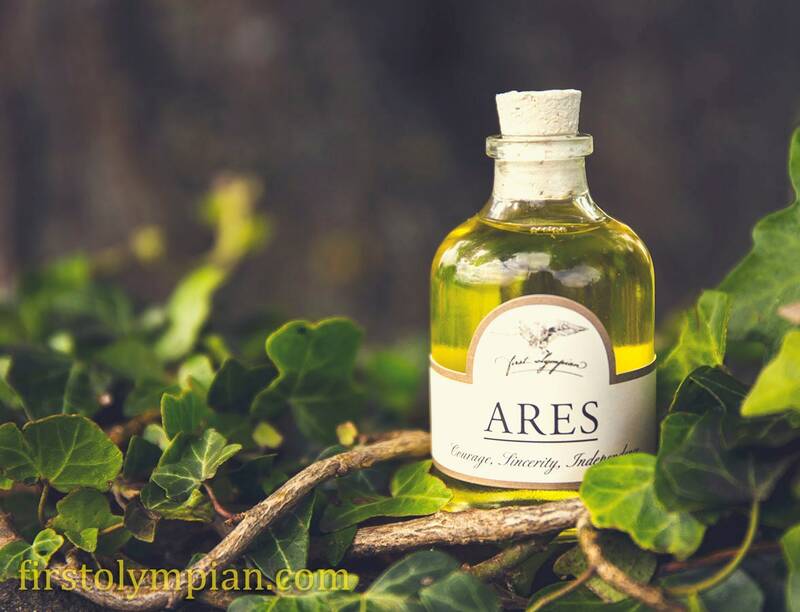 With the fresh, outdoorsy notes of cedarwood and the smoky base notes of birch Ares Beard Oil is the perfect representation of the adventurous, independent, freedom-loving man. 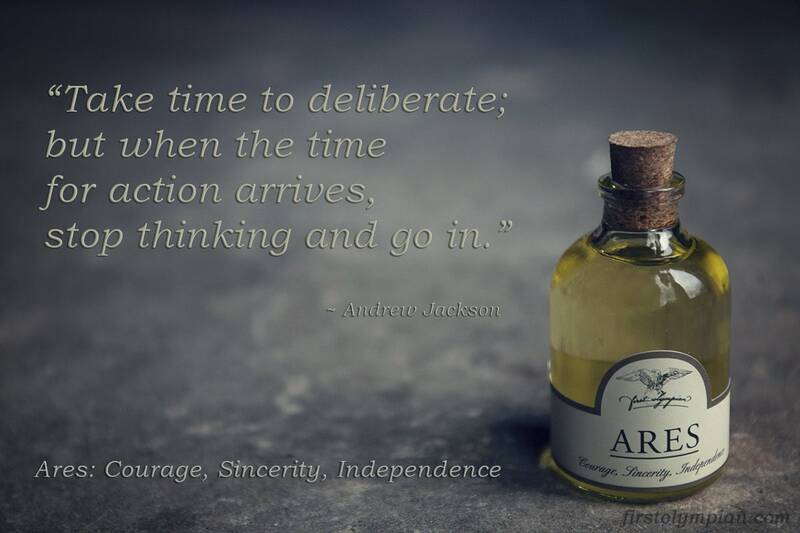 Key notes: Fresh, smoky and vigilant, with pine forest and alluring leather and smoke undertones. Suits: The great outdoors, autumn evenings by the fire, time spent under the sky and in the company of your brothers in arms. 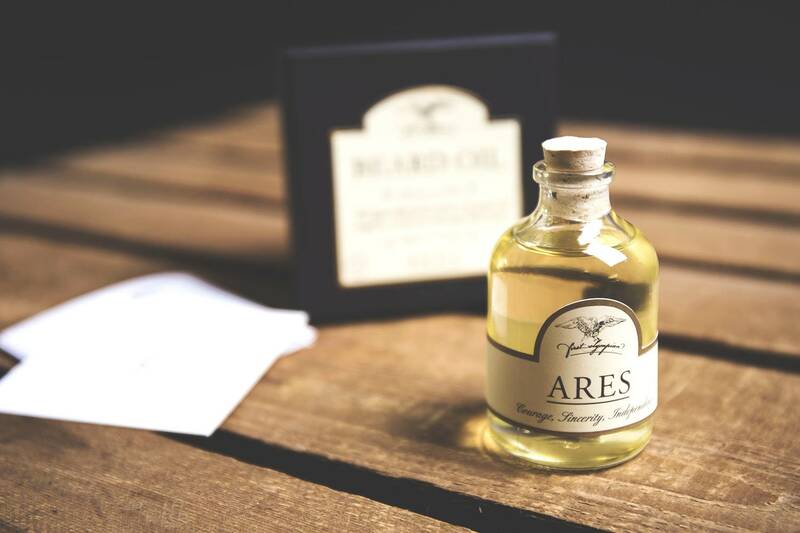 Please note: all of our full bottles are supplied with a glass dropper/pipette for easy, mess free, ½ml application of your beard oil. 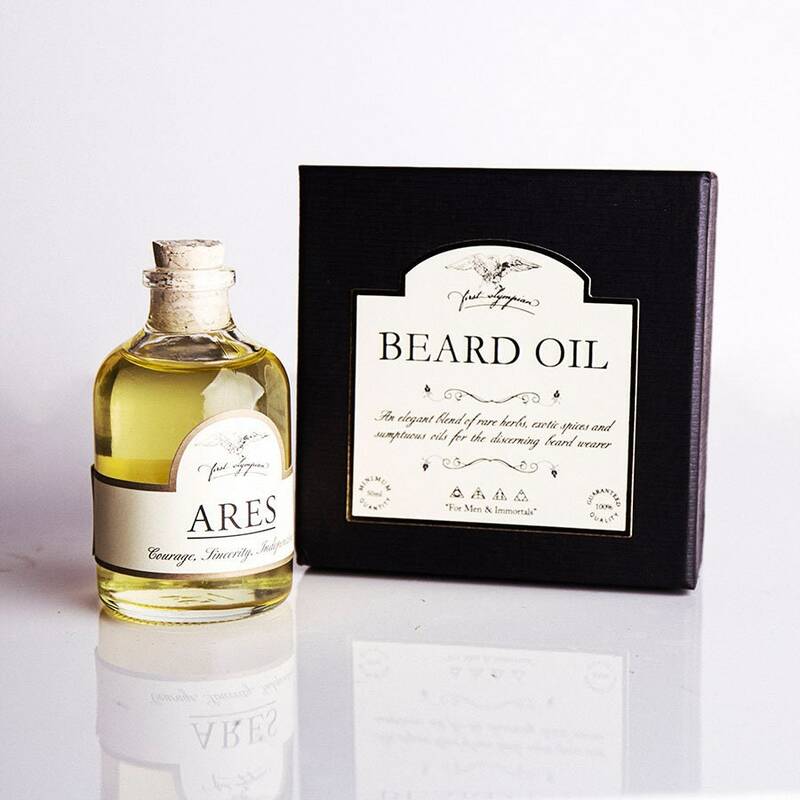 Each full bottle contains 54-58ml of oil (stated minimum 50ml) giving 3 months supply for all but the heaviest and most manly of beards.